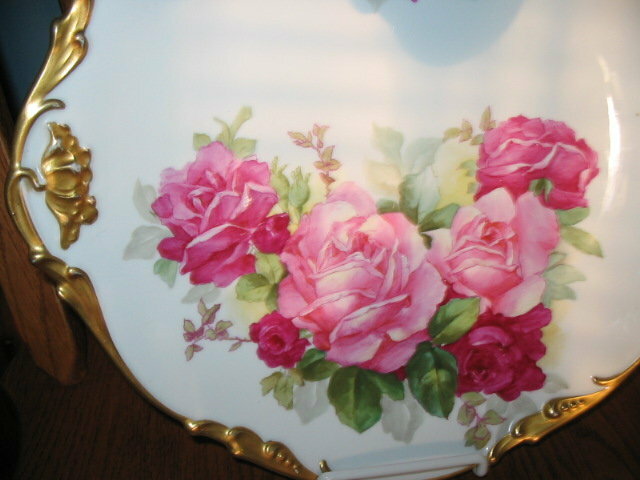 HERE IS A STUNNING LARGE HAND PAINTED FACTORY DECORATED J.P. LIMOGES PLACQUE/PLATE WITH GORGEOUS CLUSTERS OF LARGE PINK ROSES. 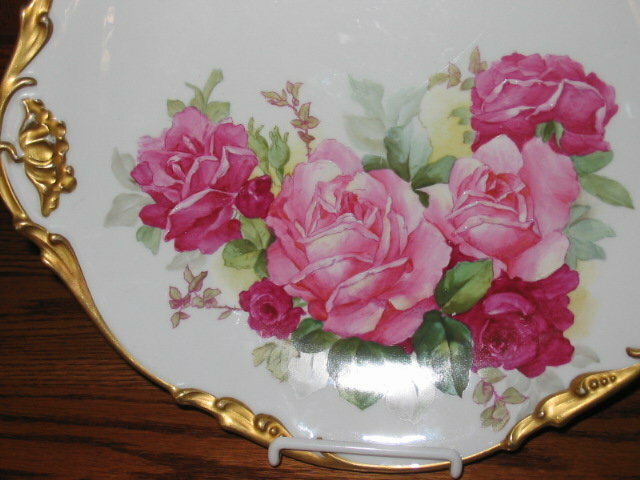 THE ARTWORK ON THE ROSES IS SUPERB AS CAN BE SEEN IN THE IMAGES. THE CONDITION IS VERY GOOD WITH ONLY SOME VERY MINOR WEAR ON THE LAVISHLY GILDED GOLD. NO CHIPS, SCRATCHES, CRACKS, HAIRLINES OR REPAIRS. THIS PLACQUE HAS FACTORY DRILLED HOLES ON THE BACK WHICH WILL FACILITATE HANGING OR IT COULD BE DISPLAYED IN A CABINET. IT MEASURES 13.25" BY 12.5". 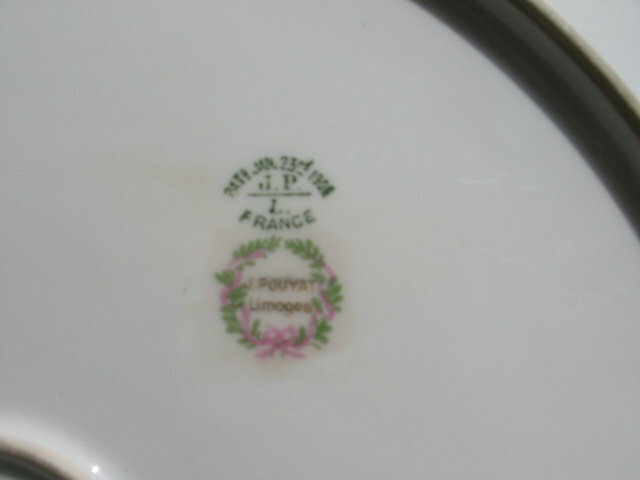 JEAN POUYAT MARK 5 IN GREEN UNDERGLAZE AND MARK 8 OVERGLAZE DECORATING MARK. 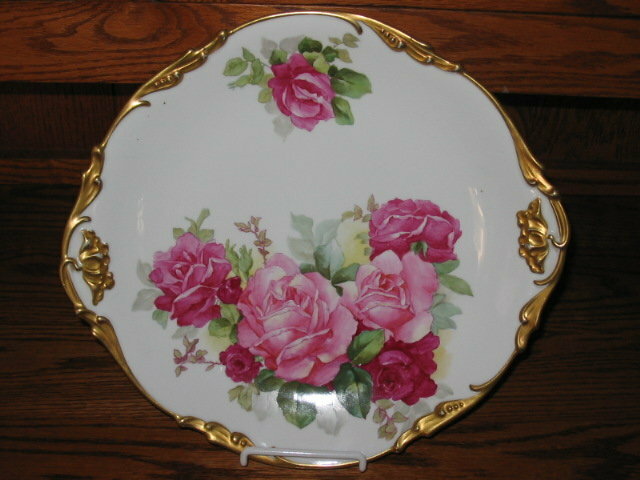 Items Similar To "J.P. LIMOGES H. PAINTED PLACQUE/PLATE"